Old chocolate was thrown away last night which brought the raccoons out to play. They toppled the garbage, unwrapped every piece of chocolate and had a glorious feast. 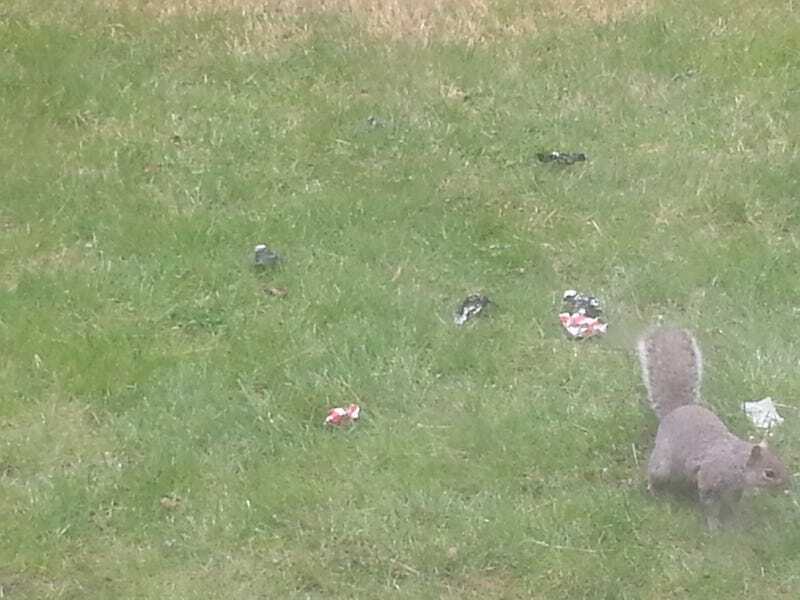 They left the pretzels behind and the squirrel who came around this afternoon, licked a chocolate wrapper but ultimately had to settle for a pretzel. Ugly shark gets a megamouth reception. At its autopsy. Aww... Poor boo boo shark. From China to Alaska via rail under the water. Naw. There are Megamouths in the water. Reconsider this madness. Bears! Bears! What do you know about this life extending DNA thing? Keeping secrets are we?! And now, a recipe courtesy of Swan's son. Or the Swan. Well, it's a favourite pancake recipe that requires Birds custard. You don't have birds custard? You can make it but it won't taste as good. Fact. I guess only you UK peeps and those with access to Birds can truly appreciate this one. Mr. Irish Flowers will be here tomorrow to help you get to the weekend. Laters, guys!